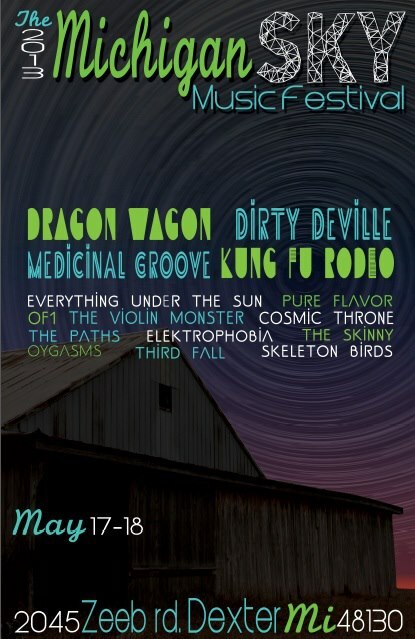 This weekend the first Michigan Sky Music Festival will be held in Dexter. The music starts Friday night and continues till early sunday morning. Camping comes with a weekend pass. The poster above has some familiar names like bluegrass band Dragon Wagon or street busker Violin Monster. They are still looking for volunteers, and you could probably inquire on their Facebook page about that.